Barack Obama's path towards greatness and the choices he made along the way can be understood by an attitude that saw him take on any challenge—indeed, "Yes We Can" became the all-inclusive slogan for his presidential candidacy. Obama aimed to define his presidency as one that would provide opportunities for the many, not the few. With the price of change being gritty negotiation and compromise, he evolved the skills of a 21st century president which belied his relative inexperience to achieve the America that, as a young man, he had dreamed of. This book reveals the motivations, inspirations, and philosophies behind a man who broke the mold to challenge the status quo. 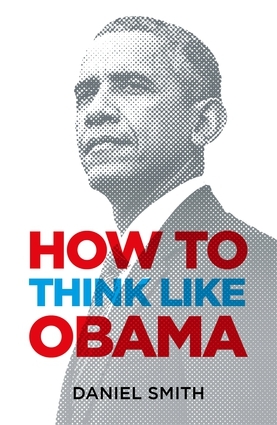 With his thoughts on leadership, innovation, overcoming obstacles, and fighting inequality, and with quotes by and about him, this book can teach you to think like Barack Obama. Daniel Smith is the author of How to Think Like Sherlock, How to Think Like Steve Jobs, Is Their Alot Wrong With This Centence?, The Language of London, and Think You Know It All?